1: Intended or used to prevent or hinder; acting as an obstacle: preventive measures. 2: Carried out to deter expected aggression by hostile forces. 3: Preventing or slowing the course of an illness or disease; prophylactic: preventive medicine; preventive health care. 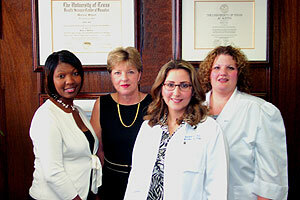 At the Medical Clinic of Bellaire we practice preventive medicine. We offer the skills needed to understand and reduce the risks of disease, disability and death by aiding you in better planning your life program of personal health. We would much rather help you adjust your lifestyle now to avoid or delay the necessity of having to treat you for serious illness later. We specialize in Adult Primary Care and we work diligently to suggest a regime which will allow our patients to enjoy a long and happy life - free of avoidable illnesses. But we also realize that not all illness can be prevented. And we are ready to provide our patients with personal, caring medical service to treat and hopefully overcome any health issues which might arise. Each of our patients is an individual. Each has their own specific needs and health issues. So we treat each person individually so that we can properly and fully address and meet their unique health issues. If you would like further information, you are invited to contact our office during business hours.